An emergent curriculum is one that is guided by the children’s interests. I get a lot of questions about what this looks like in Kindergarten. In particular, many educators often express a fear that an emergent curriculum will be random, unorganized, and not tied to the curriculum, which is everything it is not! So today, I thought I’d share an example of how you can incorporate the children’s interests into your weekly planning. When my partner and I sit down to plan, we have the curriculum goals in mind that we want to address – the challenge is coming up with creative and interesting provocations or activities that will be inviting to our students. The easiest way to do that is to fuse our curriculum goals with the children’s interests. When you spend time listening to your students – really listening – you will find the things they talk about to be a source of great inspiration! At this time of year, Halloween is a big source of conversation and excitement amongst my students, and really, it’s not hard to see why. Dressing up? Free candy? No wonder the kids are so excited! Often, we set up such experiences for the children and they take on a life of their own or go in a direction we didn’t initially expect. 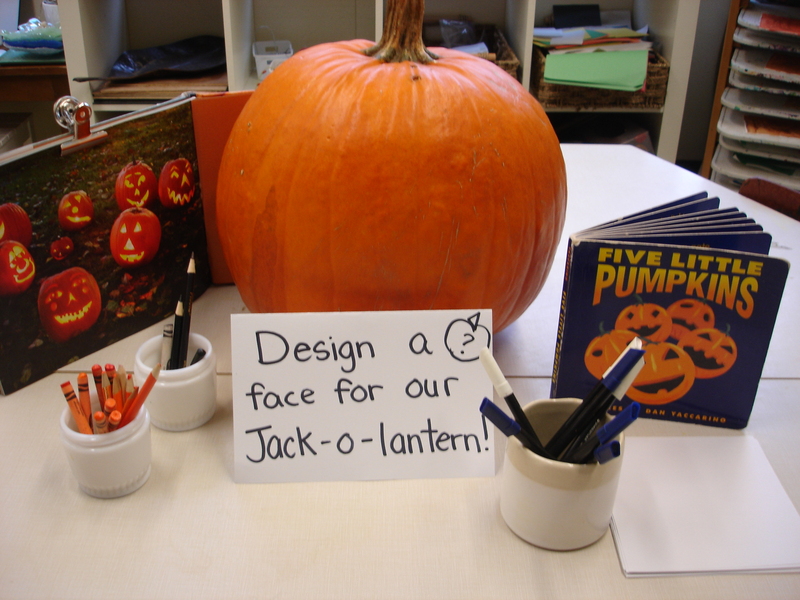 In this case, our fine motor and language activity developed into a mathematical discussion after one student who visited this centre created two options for our Jack-O-Lantern: one happy, and one spooky. You can see he also added the words “YES” and “NO” to his design. After sharing Sam’s idea during reflection time, of course the class was excited about the opportunity to put it to a vote! 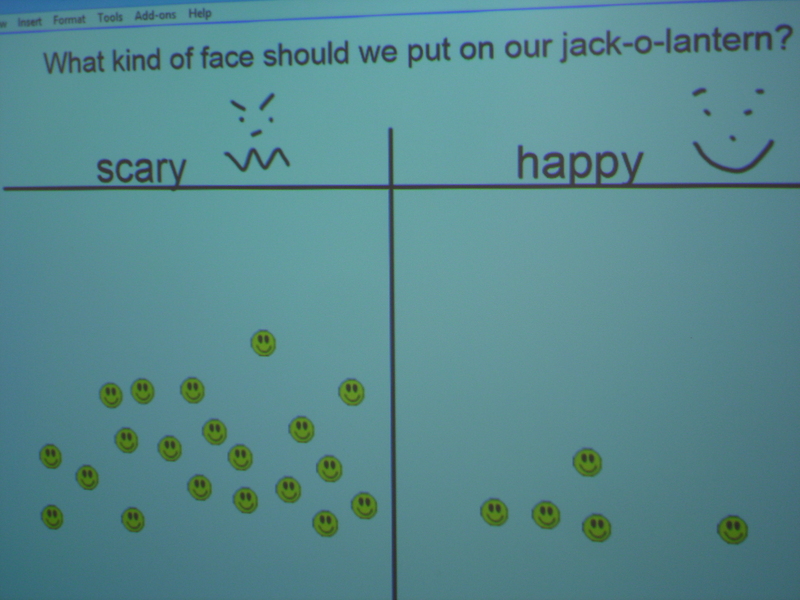 After looking at some pictures online of scary and happy Jack-O-Lanterns, we did our survey on the Smart Board. What an authentic way to talk about the purpose of surveys. 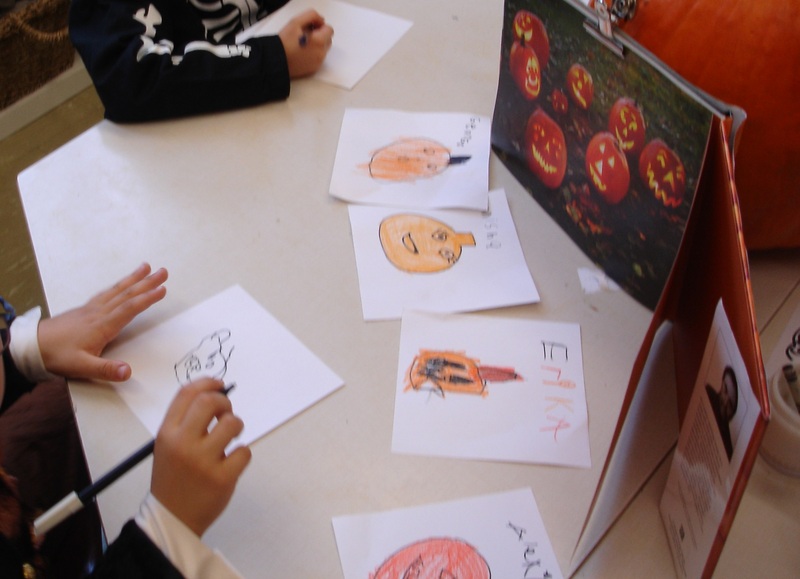 Afterwards, many children were inspired to replicate this idea on their own during discovery time. 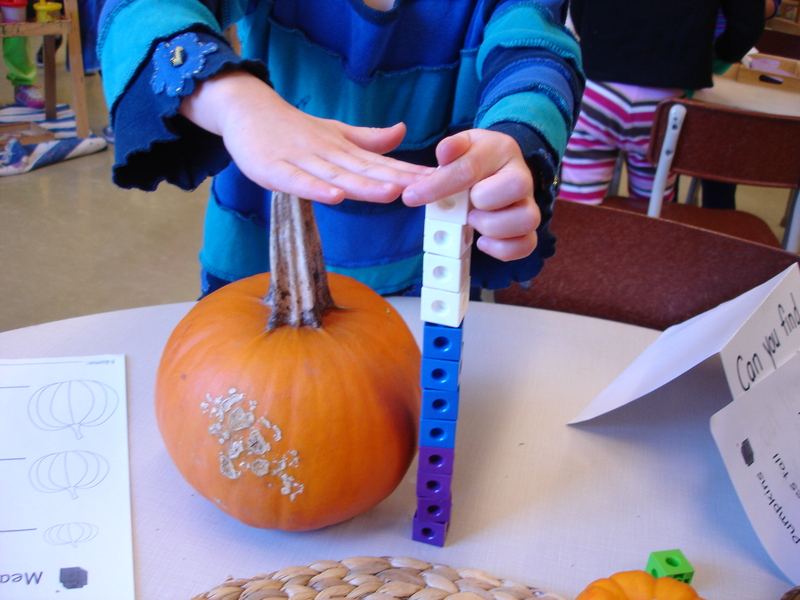 The boys then used these structures to directly compare heights to see which pumpkins were taller. Amazing! 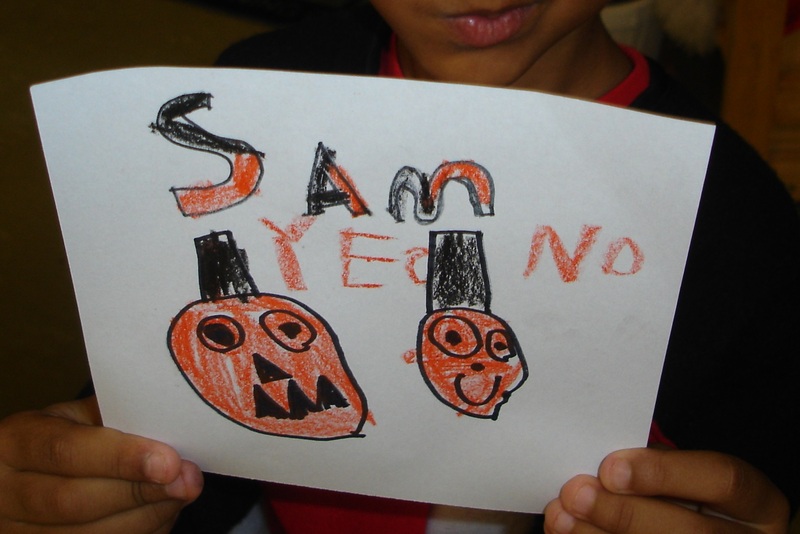 Are your students excited about Halloween? 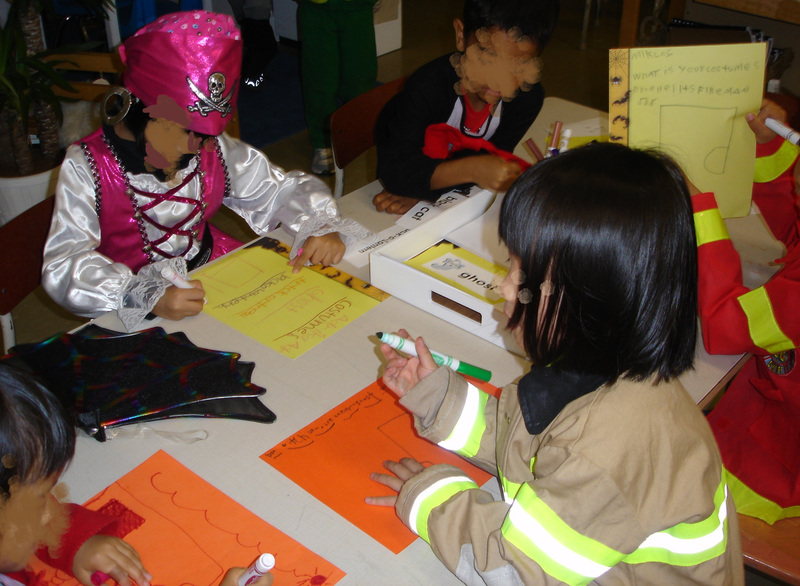 How are you incorporating your students’ interests in this spooky holiday in your classroom? 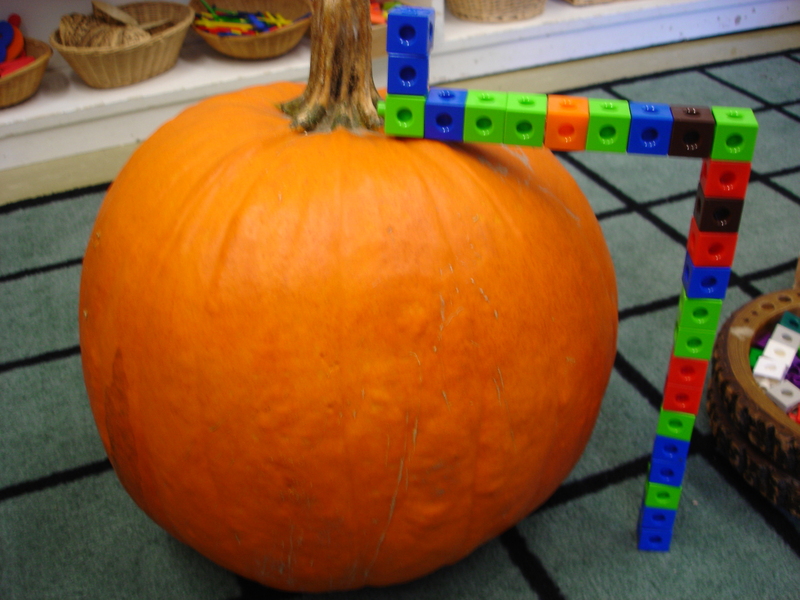 This entry was posted in Art Studio, Mathematics, Provocations and tagged halloween activities, halloween art studio, halloween math, halloween provocations, measurement, Reggio inspired kindergarten, surveys by msmcdonell. Bookmark the permalink. I love your site and am inspired. 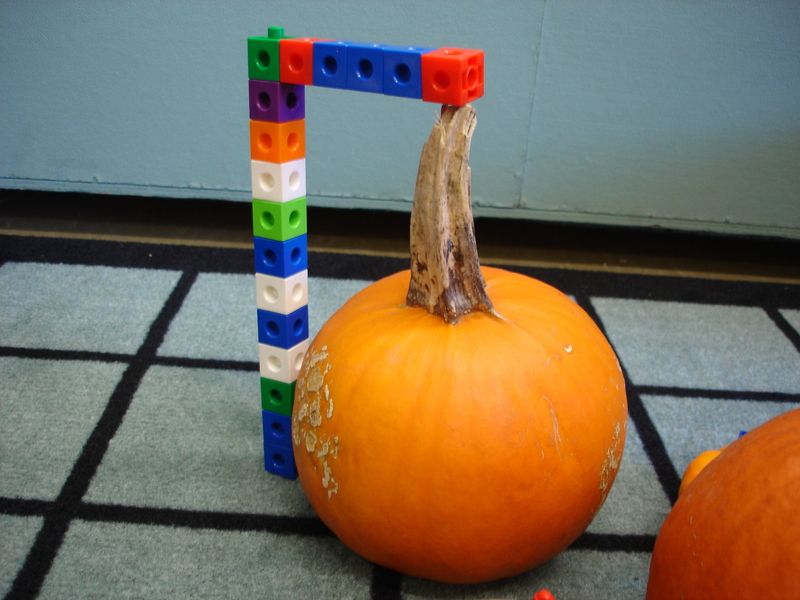 I used to trach preschool and had the ability to set up provocations that were appealing and engaging. I now teach kindergarten and have to have specific time for literacy centers and math centers. I’m struggling to find a way to be able to set up provocations for our more project based time, since it often occurs at the end of the day or midday and I don’t have a co teacher. Any ideas as to how to create or quickly set up provocations that are appealing midday? Thanks! !